The New World Symphony will mark the 100th birthday of John Cage with a three-day festival of his music February 8-10. 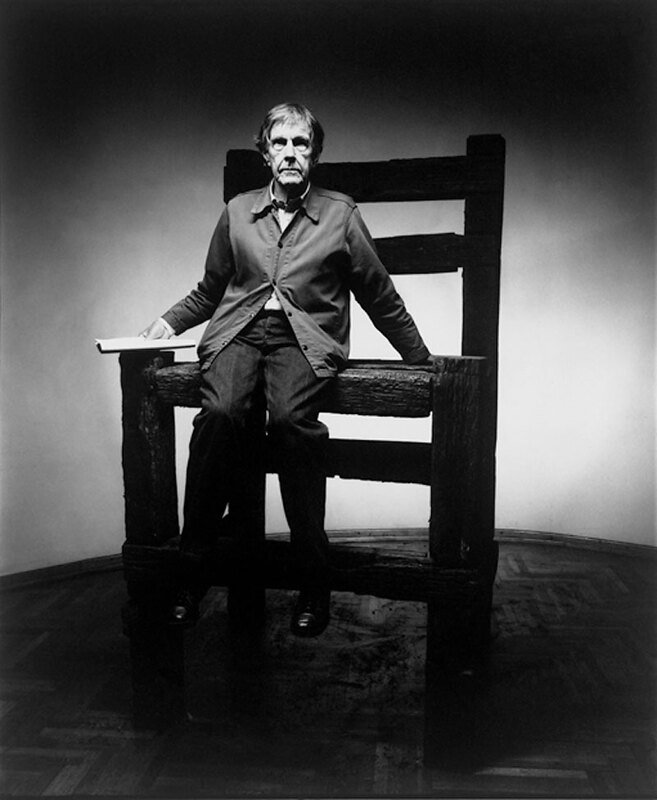 John Cage would have been 100 years old on September 5 of last year. The celebrated American composer died in 1992 yet the impact his ideas have had on classical music, visual art, and philosophy remains as strong as ever, in the United States and around the world. The New World Symphony is marking Cage’s centennial with a festival at New World Center in Miami Beach celebrating his music. From February 8-10, “Making the Right Choices: A John Cage Centennial Celebration” will present three evenings of Cage’s works, progressing chronologically from the 1940s through the 1980s. To say that Cage’s compositions were highly experimental is an understatement. As early as the 1940s, a typical Cage score might or might not include regular music notation, verbal directions, shapes or pictures to be interpreted musically, results of coin tosses or throws of the I-Ching, and even nothing at all. The festival’s chronological approach “gives the musicians the chance to play music that Cage wrote when he made all the choices himself, choosing every note,” says New World Symphony artistic director Michael Tilson Thomas. “Then we move into the area where we need to make more of the choices. Tilson Thomas has tapped some top musical guests, many of whom were associated closely with Cage and his music, including singers Jessye Norman, Meredith Monk, and Joan La Barbara, and pianist Marc-André Hamelin. Dancers from the New World School of the Arts will join the New World Symphony to realize Cage’s multimedia works. On Friday, the festival highlights selections from Cage’s experimental period from the 1940s and 50s, including Imaginary Landscape No. 1, considered to be one of the first electronic music pieces ever composed. Written in 1939, Cage combines muted piano, Chinese cymbals and two turntables – making Cage possibly the world’s first house DJ. Other works on the program include Living Room Music, in which a percussion quartet plays objects like magazines, tables, books, or other furnishings, and The Wonderful Widow of Eighteen Springs, for vocalist and closed piano, in which the pianist can only produce sounds on the body of the piano. Friday night also features several works for Cage’s famous prepared piano. The son of an inventor, Cage placed various objects like screws, washers, erasers and the like carefully between the strings of the piano in resonant spots to create the “new” instrument. The result is often amazingly similar to an orchestra of percussion. On Saturday, La Barbara will share the stage with Jessye Norman and Meredith Monk for Cage’s monumental Song Books from 1970. The three performed the work together last season on Tilson Thomas’ “American Mavericks” series with the San Francisco Symphony. But previous performances of a piece like Song Books—which consists of four categories combining song, electronics, and theatre—has little bearing on what future performances will be like. La Barbara first performed part of the work in 1976, recalling when Cage showed up at a performance of her work, Voice Piece One Note Internal Resonance Investigation. “He said ‘Oh that was marvelous! I just loved it. Would you like to work with me?’ and he handed me the score to Solo for Voice 45, which is very intricate and difficult. It’s little fragments of the five-line staff, with two different clefs, and numbers above telling you how many pitches to put in each the clef, and letters below to use as a vocalize. Like many Cage works, Song Books offers a “very flexible” canvas, which the performers must realize themselves. “How you put it together is the real artistry,” says La Barbara. In this spirit, Hamelin will join the trio onstage to simultaneously perform Winter Music in his first performance with any of the singers. “All it is, is chords of almost any description irregularly disposed on the page, and there are 20 pages,” says Hamelin. “The music can be from one to twenty pianists, sharing the material. You can start anywhere you like, go at any tempo you like, and the chords themselves are notated a little ambiguously because each one has two clefs. Renga has a special significance for Tilson Thomas. “I was with John in New York during the time that Renga was premiered in 1976, and it was designed to be a celebration of the American bicentennial. But at that time John said, and even included in the score, that this piece could be performed in honor of a fallen head of state or a tribute to a great artist, and there are other ways it could be performed. “When you see the piece you’ll understand why I kept that image in my mind. As we approached this festival, I thought it would be fantastic to really follow John’s instructions and this time create a piece which is a memorial piece for him—which involves him, his words, his music and all of the things that took place during the course of his life, all of the ways in which America changed, and ways in which he was reflecting on what changes were happening in America. For those who may be experiencing Cage’s unique musical world for the first time, La Barbara recalls her own first impressions of Cage’s music in 1970. “I went up to Cage and I said, ‘With all the chaos in the world, why do you make more?’ I turned on my heel and walked away. The New World Symphony’s “Making the Right Choices: A John Cage Centennial Celebration” takes place at 7:30 p.m. February 8-10 at New World Center in Miami Beach. nws.edu/johncagefest; 305-673-3331.